I feel there should be no Senior Advocates only advocates. Endowment not habiliment is the test of a lawyer. He should be recognised by his performance not his robes and his identity should lie in his work not attire. The gown does not make a lawyer. An incompetent lawyer will only disgrace it while the competent should not need it. As long as the system remains it is liable to be exploited. 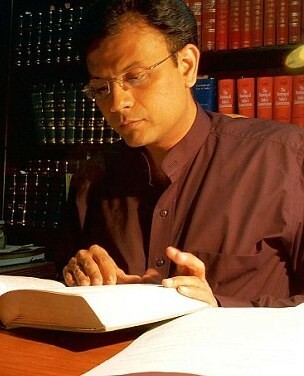 A lawyer who is not designated can be run down as being incapable and be unjustifiably compared unfavourably with another who is designated aside from being denied priority in appearance in court despite superior capacity while the incapable can perpetually hide their incapacity in their robes and get undeserved preference when in fact they should be denied an audience altogether. There is a hike in fees immediately upon designation despite want of any improvement in the quality of work. A non-designated lawyer has to explain (often without success) even a warranted increase in his charges. This not only shoots the cost of litigation up without any corresponding improvement in the quality of practise but adversely affects the quality itself as more effort is placed on the race for designation through networking rather than working. Preference is often shown to senior advocates in courts and in some it becomes the very condition for practise. Aside from being anti-merit this is also anti-democratic as it not only stifles potential it entrenches established interests. It is a little known fact that Francis Bacon was the first person to be so appointed and that too for reasons having nothing to do with his undisputed versatility. Till his appointment the Attorney General, Solicitor General and King’s Sergeants were Kings Counsel in Ordinary. Queen Elizabeth appointed Francis Bacon Queen’s Counsel Extraordinary. The reason for this extraordinary honour was only political and intended to prevent him from acting against the Crown. The appointment as Kings Counsel therefore had nothing to do with the admitted capabilities of Bacon – a trend which continues till today. Distinction never needs any dressing up. It is self-evident. Merit is always humble. It makes a place for itself without having to be ushered in. Ability requires no badge of honour. It attracts attention without a formal proclamation. And true recognition lies not in formal acknowledgment but in voluntary appreciation. So where do we fit designation of Senior Advocates? A rose by any other name, said Shakespeare, would smell as sweet. And smell attracts bees. A flower may not be called a rose and can yet can have a bee pay attention to it. But what about the Big B? Does this B prefer ships over flowers called roses or anything else and can thus smell something simple b’s cannot? Big B said that he “does not know the (shipping) companies referred to in the Indian Express” but added that “it is possible my name has been misused.” Now there may be nothing in a name if the subject was a rose but Amitabh Bachchan is different. A rose can be nameless but one will never ask Amitabh Bachchan his name. And there would be more people wanting to be called Amitabh Bachchan whatever be the name they actually carry. Had Amitabh Bachchan been born when Shakespeare was alive the latter might well have said, “there is nothing in a name unless the name is Amitabh Bachchan.” So an Amitabh Bachchan popping up in Panama should cause little excitement. Even an eskimo might like to be called Amitabh Bachchan. Its a very simple explanation. The Panama Papers cannot be used to implicate Big B. But the problem is that Big B is himself not sure! In the fact that it is “possible” his name has been misused is the possibility that it has not. So the possibility that it can be the Big B competes with the question can it be Big B! And who else but Big B can answer that? An Amitabh Bachchan might not be the Amitabh Bachchan but the Amitabh Bachchan should surely know who’s who! This reminded me of another Shakespearian play Hamlet. Prince Hamlet contemplating death or suicide said, “to be or not to be is the question”. Interestingly in the soliloquy Shakespeare, speaking through Hamlet, mentioned “sea of troubles.” And the Panama Papers coincidentally are alleged to link Amitabh Bachchan to shipping companies. These indeed are slings and arrows of outrageous fortune! One can well conclude that a rose by any other name may smell as sweet but sometimes a rose by the same name may not remain as sweet. Even Amitabh Bachchan can be forced to distance himself from Amitabh Bachchan! “After Independence, the accession of Kashmir was done following the India-Pakistan war on the pretext that a plebiscite will be conducted when the situation gets back to normal and since then it (janmat sangrah) has not happened.” Thus spoke one Nivedita Menon who is a JNU Professor. She also said that India, an “imperialist” country is “illegally occupying Kashmir”. Mark Twain famously remarked, “Get your facts first then you can distort them as you please.” In the instant case distortion is being paraded as facts. The India Independence Act, 1947 created a sovereign Dominion of India which came into existence on August, 15, 1947. Under the said Act the suzerainty of the British Crown over the Indian States (including Jammu &Kashmir) also lapsed and they consequently regained there sovereignty. In exercise of this sovereignty the Indian States were competent to succeed to either of the two Dominions. On October 26, 1947 The Maharaja signed Instrument of Accession with India thus recognising the fact that his State was part of the Dominion of India. The Instrument of Accession was in the same form as was executed by Rulers of other states which had acceded to India and the legal consequences cannot be any different. The requirement of a plebiscite was not part of the Instrument of Accession. The acceptance of the Instrument of Accession was unconditional. This position was reflected in the Constitution of India when it was made in 1949 and declared Jammu & Kashmir as part of the territory of India in Article 1. Article 370 itself states that Article 1 applies to the State. The Constituent Assembly of Jammu &Kashmir ratified the accession to India in February 1954 and the President of India issued Constitution (Application to Jammu & Kashmir) Order, 1954 which added all Union subjects under the Constitution of India (not the three subjects of Defence, Foreign Affairs and Communications). The Constitution of Jammu & Kashmir adopted on November 17, 1957 with effect from January 26, 1957 declares the State of Jammu & Kashmir to be “an integral part of the Union of India”. The choice of January 26th as the date from which the constitution was to take effect is significant as it was on this day that the Declaration of Indian Independence (Purna Swaraj) was proclaimed by the Indian National Congress as opposed to the Dominion status offered by the British Regime and it was chosen as the day when the Constitution of India came into force. Where then is the “pretext of a plebiscite”? A sovereign Princely State acceded to the Dominion of India which accession was unconditionally accepted by it and the same was incorporated in the Constitution framed declaring India to be a Republic to be ratified subsequently by the Constituent Assembly of the State and eventually acknowledged in the Constitution of Jammu & Kashmir itself. The UNCIP resolution talked of a plebiscite but even that mandated the withdrawal of Pakistani troops and tribals which never took place. And Mountbatten’s letter, apart from being a unilateral and ultra-vires act without the approval of the Council of Ministers could not only not alter a completed accession but at best was statement of intent which was fulfilled by subsequent developments. Admittedly, elections to the Constituent Assembly were held in August-September, 1951 and all 75 seats were won by the National Conference. This itself is popular affirmation of the State’s accession to India. Significantly the first official act which the Constituent Assembly of Jammu & Kashmir did was to end the princely rule of the Maharaja. His son was elected by the Constituent assembly itself. If what the Maharaja did was unacceptable would the Constituent assembly have elected his son as Sadar-i-Riyasat of Jammu & Kashmir? Elections were held to the Jammu and Kashmir Legislative Assembly after the Constituent assembly was dissolved in 1957 and again in 1962 wherein 65% of the voters cast their ballot. Is this not vindication of the integration of the State into India? In fact in later elections in excess of 75% of the voters cast their votes! Presuming that any assurance of taking “people’s will” into account was given, this “will” has been repeatedly expressed by the people. Jammu & Kashmir is India’s and will remain so and not because India is an imperialist country forcibly occupying it. Kashmir has not been colonised but has been constitutionally integrated into India. It was not for expanding investment, nor for acquiring material resources nor even to look for man-power that India sought to “occupy” Kashmir. The integration followed a legal process and in the very making of special provisions for it there is an absence of both dominance as also an enforced inequality in the relationship. There has been an engagement not conquest. And force is being used not to extend territory but only to preserve that which is its own. India’s breakup is the agenda not the so called “occupation”.